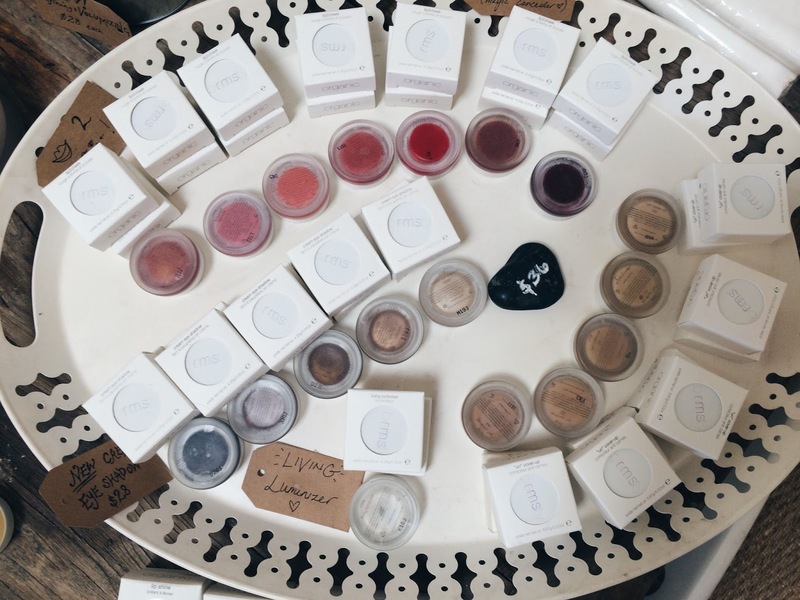 As I’m marking each email with a #greenbeauty sale that arrives in my inbox, I am almost a bit hesitant to share them with you as I did last year in a big post of savings as a different kind of message is cropping up. My picks: Some old favorites include Lina Hanson Global Body Serum ($63) for its vanilla-citrusy scent that made my limbs super soft; Hurraw! lip balm ($4.99) for its fun oval-y shape, dependable texture (no funky melting), and solid performance; Ilia Beauty’s lipgloss in The Butterfly and I ($24), which I think has a beautiful non-sticky, oily, moisturizing texture in a my-lips-but-better shade; Alima Pure Satin Matte Foundation ($25) because I always notice an improvement in my skin’s texture when I use this buildable mineral foundation; and Kjaer Weis cream blush in Sun Touched ($54) which gives me a healthy flush and makes my acne-scarred cheeks look even better. 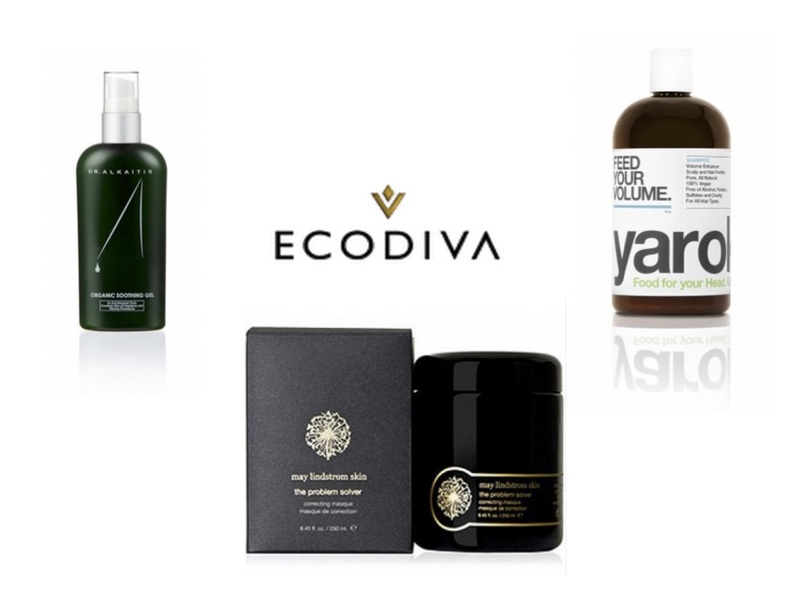 Some newer favorites include Josh Rosebrook’s Active Enzyme Exfoliator ($60) which I love using as a 45-min mask and leaves my skin feeling uber soft afterwards; Odacité’s Pa+G Pure Elements serum ($37) which lightens my post-acne marks record-time fast; One Love Organics Healthy Locks Dry Shampoo ($12) which smells so lovely (geranium) and gives my oily, second-day hair a texturized and non-greasy finish; Kjaer Weis highlighter in Radiance ($56) which is absolutely gorgeous if you’re looking for a more obvious highlighter; and LURK’s PRJV1 perfume ($55) because I am a sucker for a spicy jasmine scent. My picks: The absolutely luxurious and gorgeous Fair Verona by Strange Invisible Perfumes, a sultry jasmine plus mimosas; Schmidt’s Deodorant whose texture I’m not so fond of (can be a bit dry and flaky sometimes), but it performs reliably and makes my sweaty clothing smell good; Konjac Sponge Co’s French Pink Clay sponge because sometimes it is just nice to gentle scrub off cleanser with this little guy (also very low maintenance to take care of it); ED4OLO Cleansing Oil–I have repurchased it probably over 5 times and I’m still not tired of it–it smells like pineapples, takes off all of my makeup, and washes off with water; and Kahina Giving Beauty’s Night Cream which is fantastically moisturizing yet light–and I don’t mean moisturizing lightly–since I got back into cream moisturizers after falling in love with oils, I found many creams left my skin feeling tight but this one not so much. 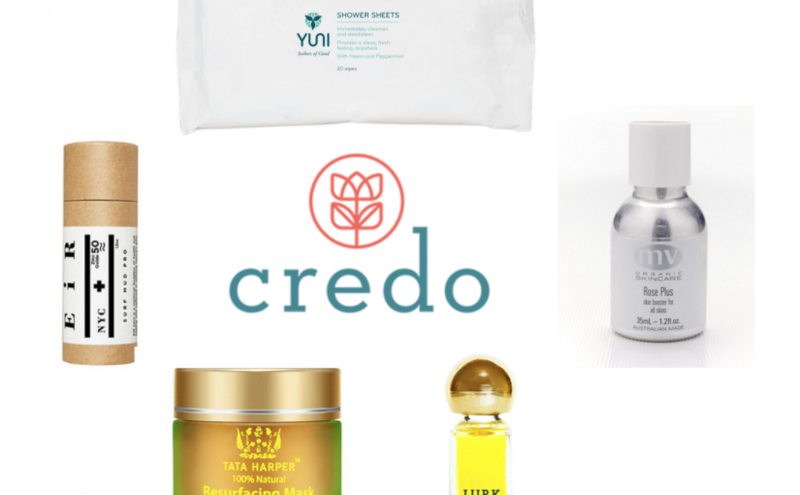 My picks: I confess that I have not shopped many of the brands carried at BeauTeaBar before, so this is half products I’ve tried and loved before, half a wishlist. 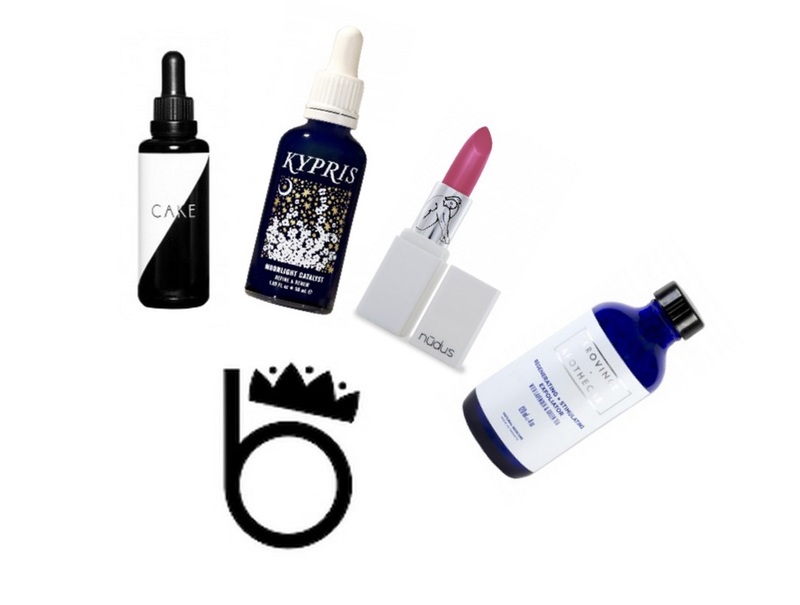 I have heard beautiful things about Kypris, and at #ANFGB Marissa sung praises for the Moonlight Catalyst ($70), an overnight exfoliating serum with pumpkin (yum!). While Ilia Beauty has been the reigning queen of green lippies, Nudus seems to be the new cool kid on the block–I’ve got a soft spot for Precious ($32), which seems to be a bright pink. I really enjoyed the sample I ordered of Province Apothecary’s exfoliator ($38), which is super, super gentle and effective, with lavender and green tea. I really want to gift my mother the Cake Anti-Aging Hair Serum by Reverie ($72) –kind of dying over the ingredients list (rose, rosemary, bourbon vanilla, apple stem cells!!!). My picks: The Deodorant Cream ($13) which is a particular favorite of mine because it has a soft texture throughout any season and keeps a typically very smelly me very smelly-free. This one includes baking soda, so if you are sensitive, be wary (and check out the new baking-soda version which sadly does not work for me), otherwise, no worries. My picks: Since I’m a sweaty, blemish-y gal, my skin and I love my Altruist Satin Mineral Foundation ($31.50) + the ultra-soft Kabuki Brush ($41), which can also used with their Bio Bronzer, which I also have a soft spot for (see the full look here). With the minerals, I can achieve a glowy, dewy finish with no blemish marks peeking through. 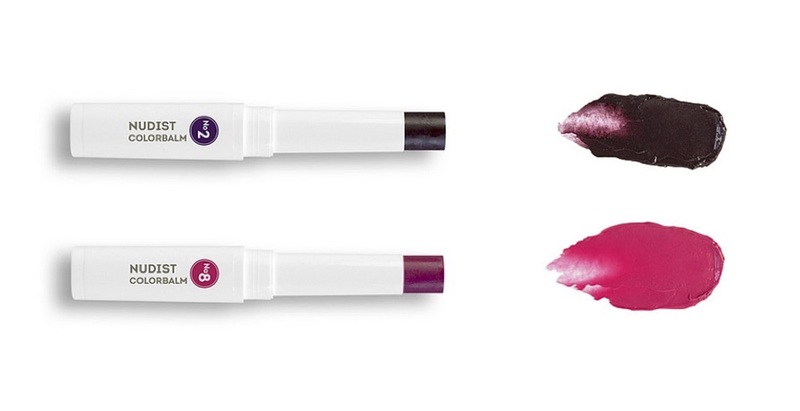 Also notable are the Nudist Colorbalm Sticks ($19.50) which are like chic, minty tinted lip balms–I love 2 (the Violet) and 8 (the Poppy). My picks: I am partial to their body scrubs, Java Jolt in particular, which now come in travel size for $10 vs. $27 for full size. It’s made with certified organic fair trade sugar and coffee as well as lovely moisturizing oils that altogether give my limbs a good scrub and leave me feeling very soft and moisturized after a shower. 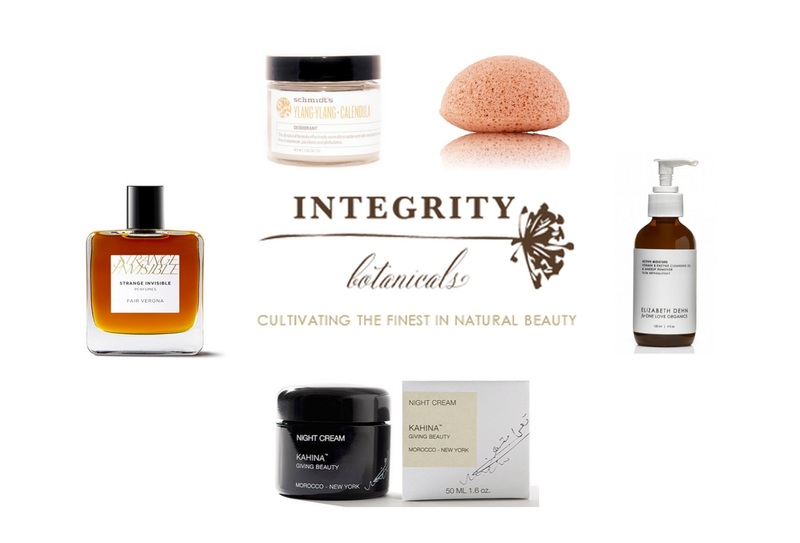 My picks: This is another half wishlist, half products I’ve already loved collection. 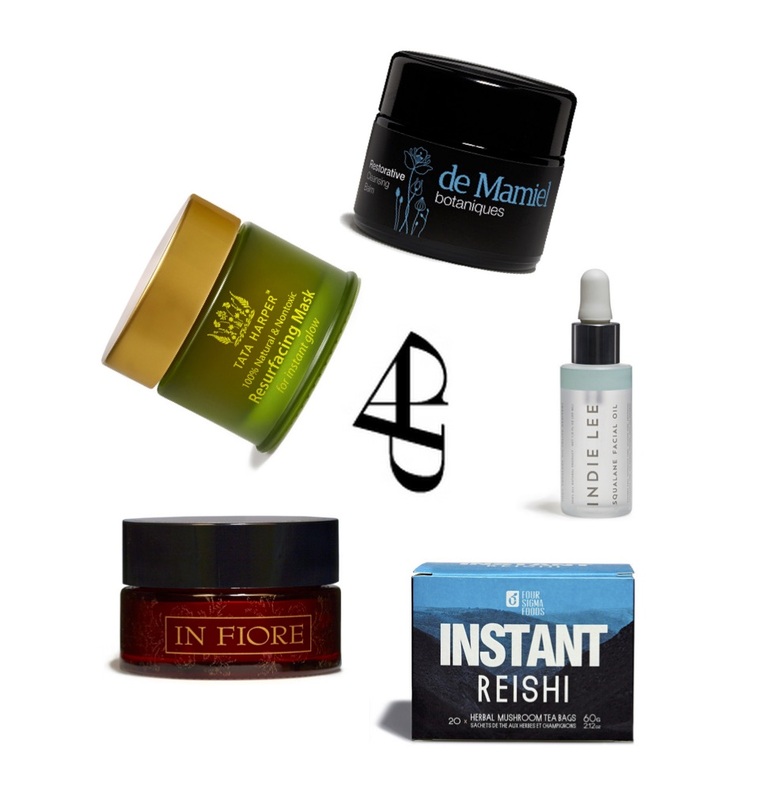 I have loved-loved-loved the de Mamiel cleansing balm (full review here, $86) and I have a new one waiting for me once I finish my current makeup removers. It’s a floral cleansing balm that is just luscious, beautiful, delicious, luxurious, and packed full of probiotics and manuka honey. I’ve also loved Tata Harper’s Resurfacing Mask–I always request this as my sample-with-order from Spirit Beauty Lounge and I finished an entire pot of the Wild Plum limited edition version. It’s a lovely exfoliating mask that keeps my face clear and happy of blemishes caused by dead skin buildup. Now on the wishlist side–I have been lusting after In Fiore for a couple months now. The cleansing routine sounds absolutely luxe (maybe a bit over the top), but I love the sound of the Lustra Exfoliating Floral Compound ($76), which is meant to be an exfoliating treatment balm packed full of flowers. 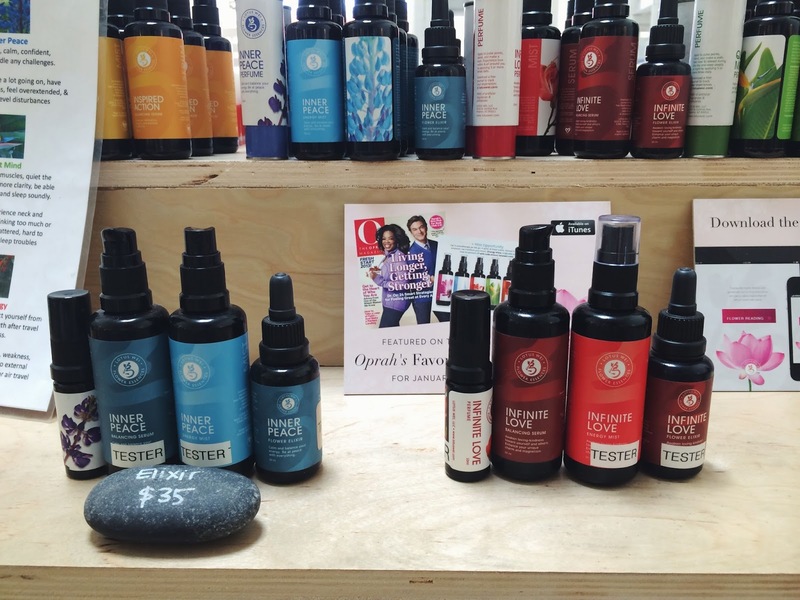 I’m usually a sucker for complex blends, but Tara from Shop Follain highly recommended the Indie Lee Squalane Facial Oil ($32) as a great no-frill oil with a host of benefits, so I’m curious. And lastly, I’m so curious about Four Sigma Foods’ Instant Reishi–I love Chinese tea, so I know I can take the bitter, and I’m always looking to de-stress. Lola from Hermes Hippie said this instantly calmed her down, so I’m listening. 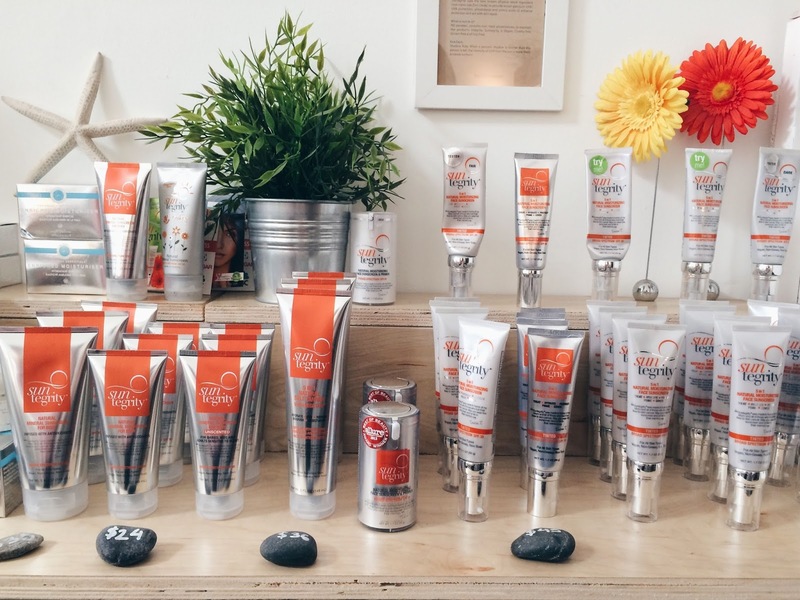 My picks: The fantastically light yet protective Neem Rose Face Sunscreen SPF 30, of course, recently reviewed here. 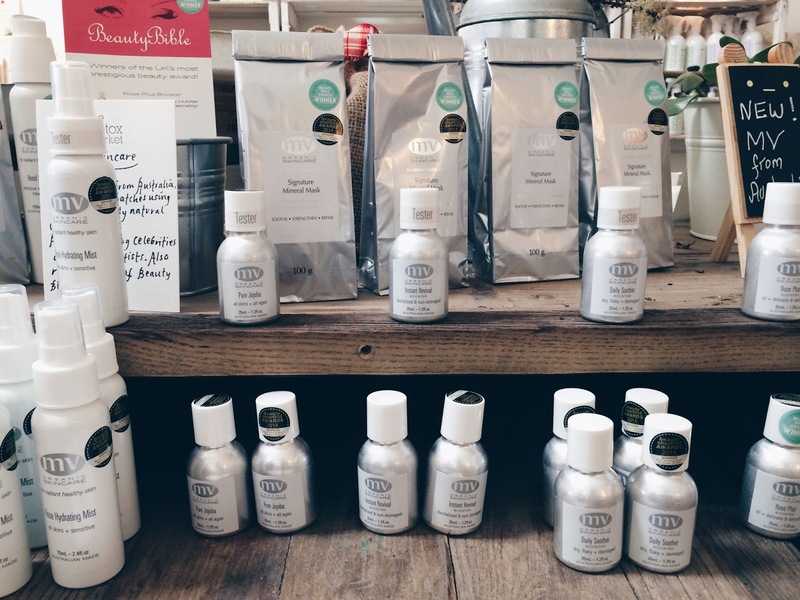 My picks: Osmia Organics’ body oils changed how I apply body oils for forever–now I only lightly towel off so I can use the remaining moisture to mix with my body oil as sort of a custom lotion. My two favorite scents are Flower and Sunset (both reviewed here): basically the perfect floral and then a sultrier vanilla. I’ve ordered repeat mini perfume samples of Bria, which I don’t exactly remember the smell of, but again, repeat samples. 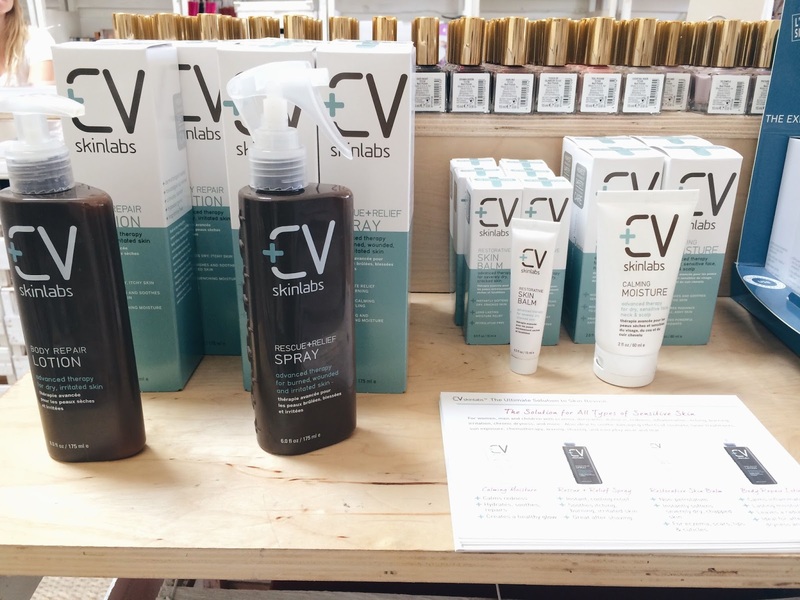 The Spot Treatment (reviewed here) was never an overnight miracle for me, but the two bottles I went through helped my spots heal faster than if they were alone. The Active Gel Toner is a new favorite–I’ve noticed that my skin feels much more hydrated during the day even though it’s the winter–and this was something I struggled with nearly all winter. Osmia’s soaps are basically works of art and I loved my Zucca Spice down to the very last bit–it cleansed me without leaving any stereotypically dry feelings. 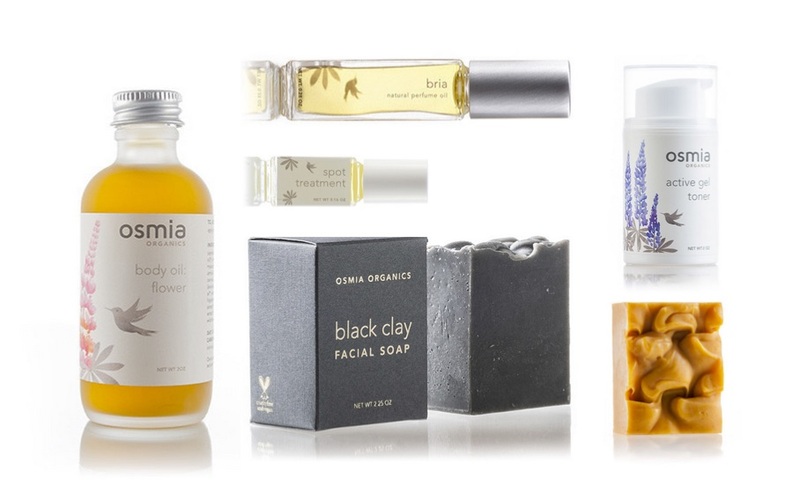 And as for the Black Clay Facial Soap–“The black clay soap lasts forever, has a neutral smell, looks badass, and does not leave my face dry” – from the man. My picks: Dr. Alkaitis Soothing Gel is another product I always request as a sample from Spirit Beauty Lounge–this is what I go to whenever I make a mess of a blemish or am particularly afraid of ingrown hairs. It helps a broken blemish heal a bit faster and I never have ingrown hairs after using this. I loved sitting around 45 minutes in my May Lindstrom Problem Solver while this thick, jet-black mask sucked out nasties. Yarok shampoo is definitely pricier than my go-to Acure shampoo, but it is chocked full of really gorgeous ingredients and leaves my hair soft and wonderful. Deal: 8% off entire order over $75 (orders over 200 will receive a code for 10% off on the next order). Also, Halcyon Cleanser will be available in a travel sized variant. My picks: Now is a better time than ever to pick up Halcyon Cleanser in a travel size ($24)–my favorite gel cleanser that is gentle yet effective enough to massage out surface whiteheads (full review here). Another super favorite is the Cocoon Elixir ($68), which I have repurchased at least twice for how well it soothes any redness (full review here). Another two-time repurchase is Cell Perfecto PM ($98), whose review should be up before the end of the year because it seriously changed and healed my skin. A newer favorite is Liquid Courage ($125), which I’ve come to love even more than M.E. Skin Fuel for how clear it kept my skin before the weather turned cold. And lastly of course, the Pure mask ($65) which is a clay mask with matcha green tea, fruit enzymes, and rice powder, all in all forming a mask that detoxifies, heals, and doesn’t dry me out after a use. Anything catch your eye? You shopping this weekend? Disclaimer: Affiliate links are included. Images have come from their respective sites either in their original form or have been edited by me. I will update this post as more deals are revealed. All thoughts and opinions are my own (and the man’s). 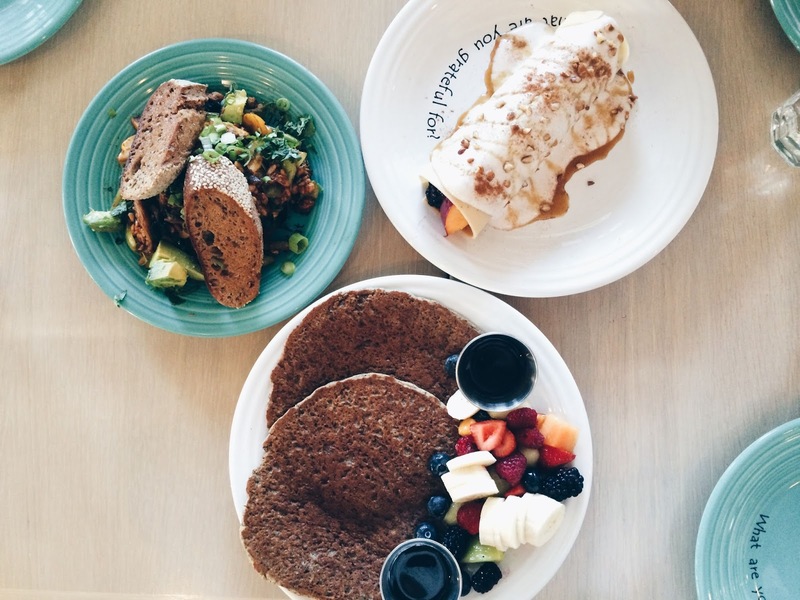 Café Gratitude! 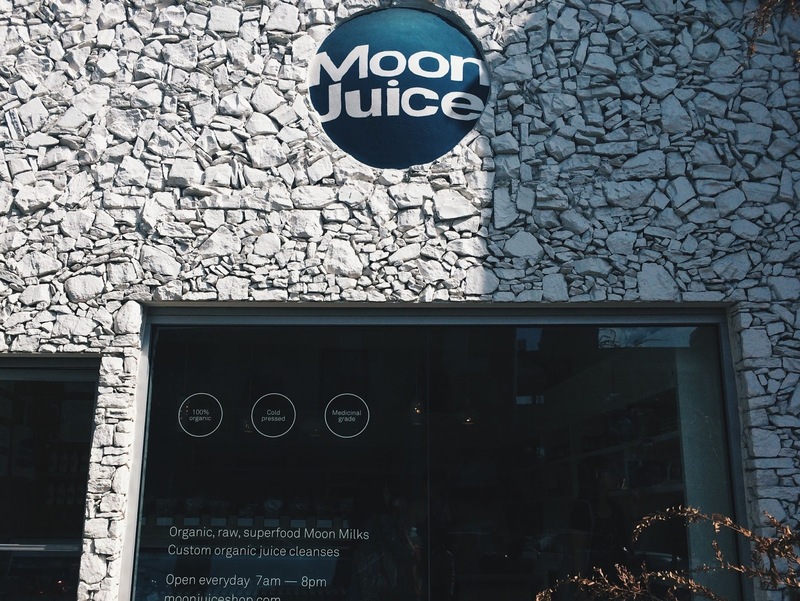 I couldn’t believe I had forgotten that this was a place I wanted to visit in LA! I think my parents were thinking more on the meat and egg side for breakfast, but I was so thrilled and grateful to have stumbled into this beautiful space. 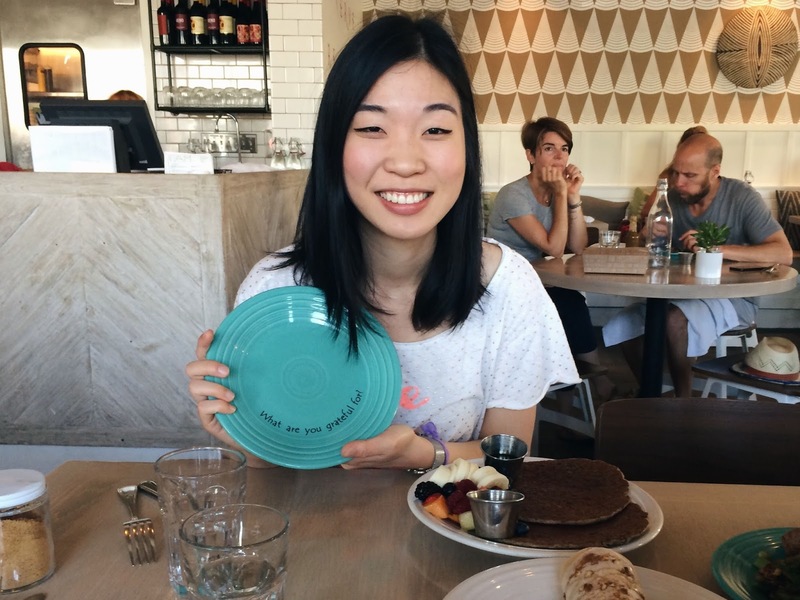 We ordered Open-Hearted, Trusting, and Fantastic, and upon saying each one to the server, he responded “You are open-hearted” and “You are trusting” and “You are fantastic.” Gosh, what a beautiful thing to hear in the morning before breakfast. 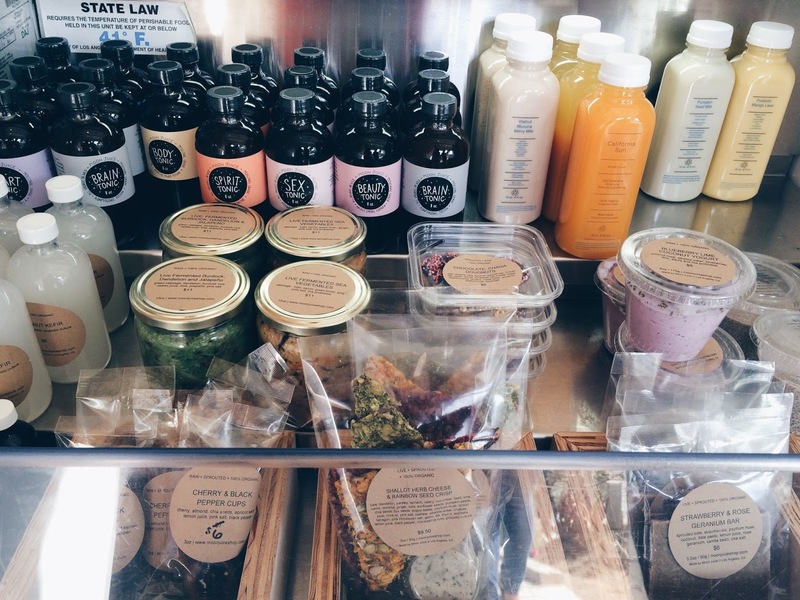 After cleaning off all the delicious plates, we braved LA traffic to go to The Detox Market in West Hollywood. 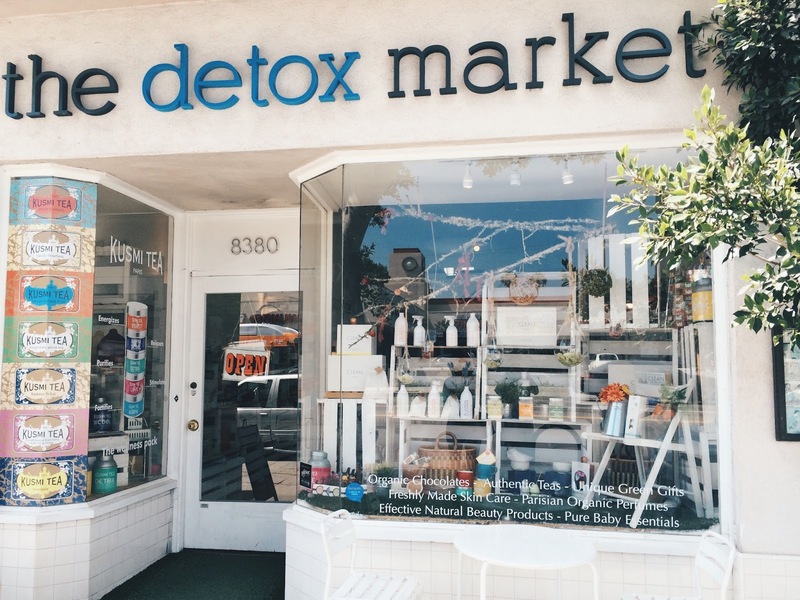 I have also been following The Detox Market over Twitter, Instagram, and email newsletter for a couple of months, so I was so excited to finally see it in person. 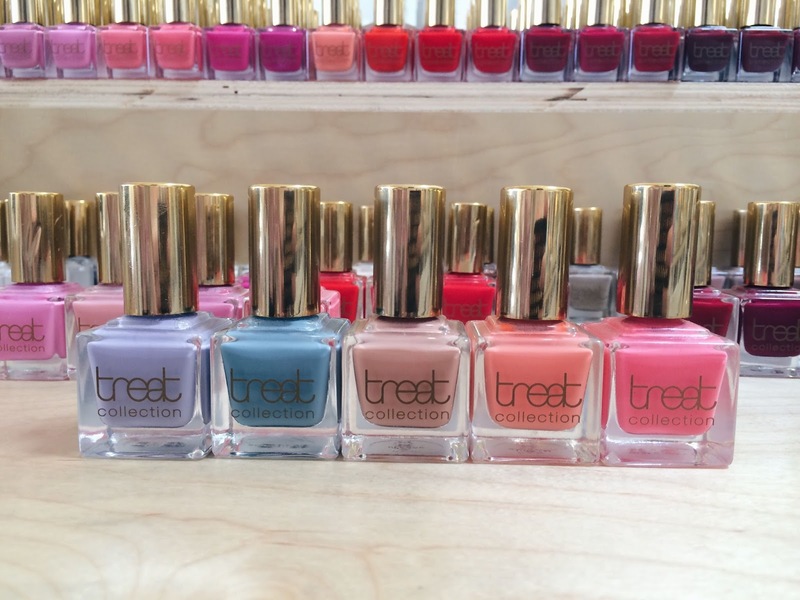 treat collection looked just as beautiful in person as they do on Sonja’s (Life in Blush) nails. I have sample misters of Infinite Love and Inner Peace that I purchased from Spirit Beauty Lounge and have been loving, so I definitely took a quick spritz break passing by Lotus Wei. Lilly (Genuine Glow) loves mv skincare and I haven’t taken the plunge yet partially because of price point and partially because I don’t know where to start. I tried some of the moisturizers on the back of my hand and they felt and smelled lovely though! 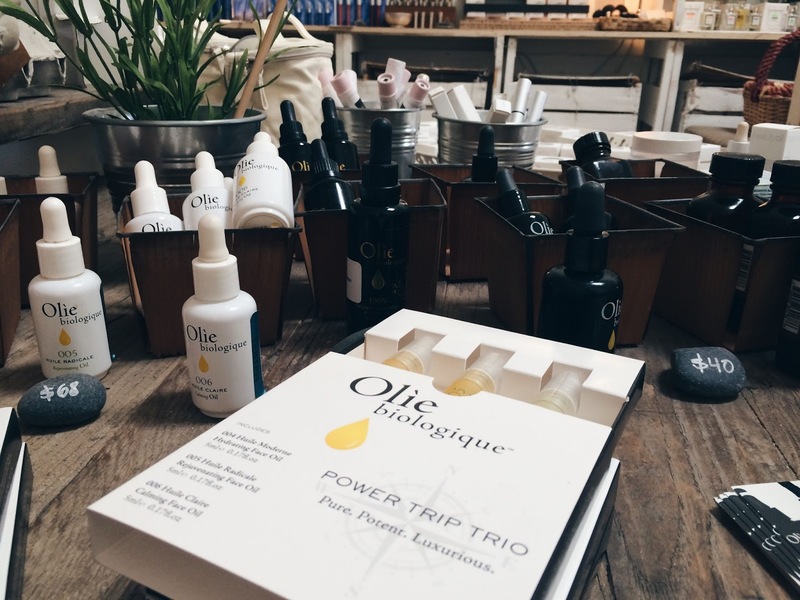 This was my first time seeing Olìe Biologique in the flesh! I smelled and tried a bit of Huile Claire Calming Oil and it smells, feels, and looks more wonderful than I imagined it would. Also considered buying the Power Trip Trio to properly sample the oils, but also well-enough stocked on facial oils for now. 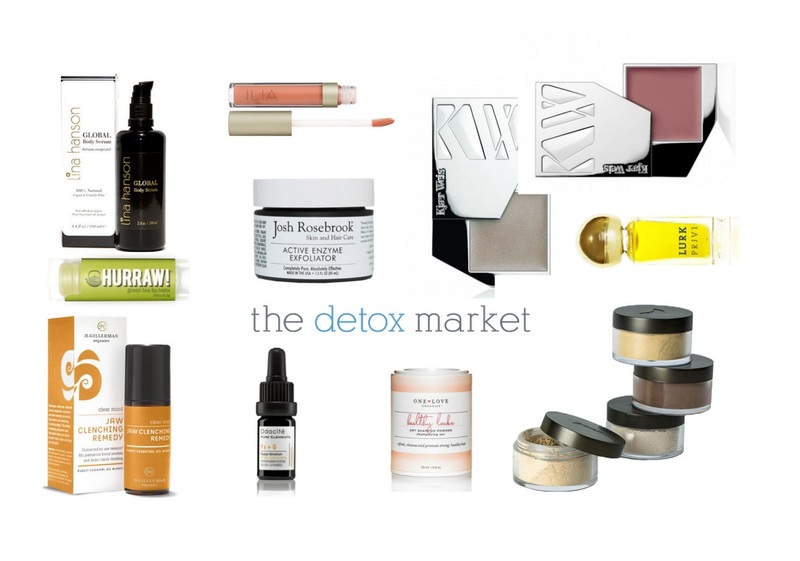 The Detox Market has a beautiful makeup lineup. This side of the wall includes Vapour (huge line of Vapour), Ilia Beauty (restrained myself from buying Jump, but I did try some on my lips–pretty! ), and Kide (this line with really beautifully marbelized pressed powders with diamonds and stuff). 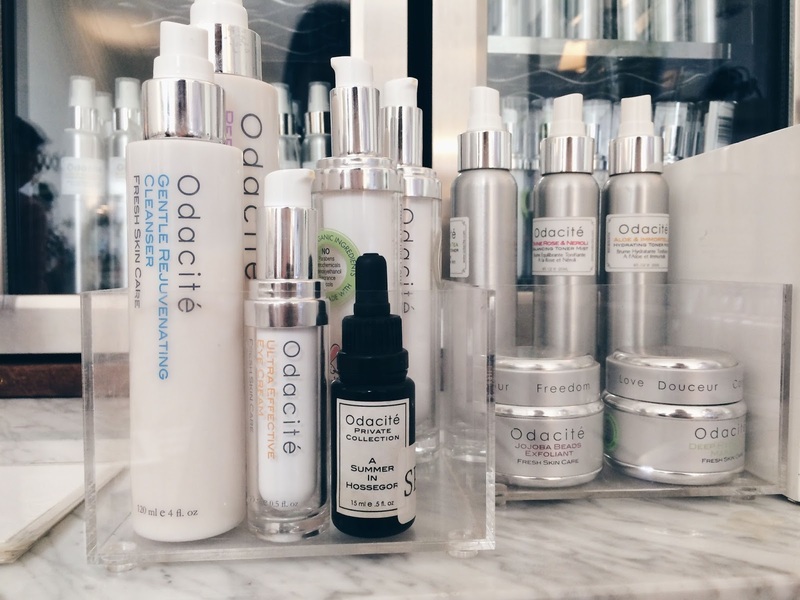 And here’s the reason I chose to go to Detox Market–Odacité. 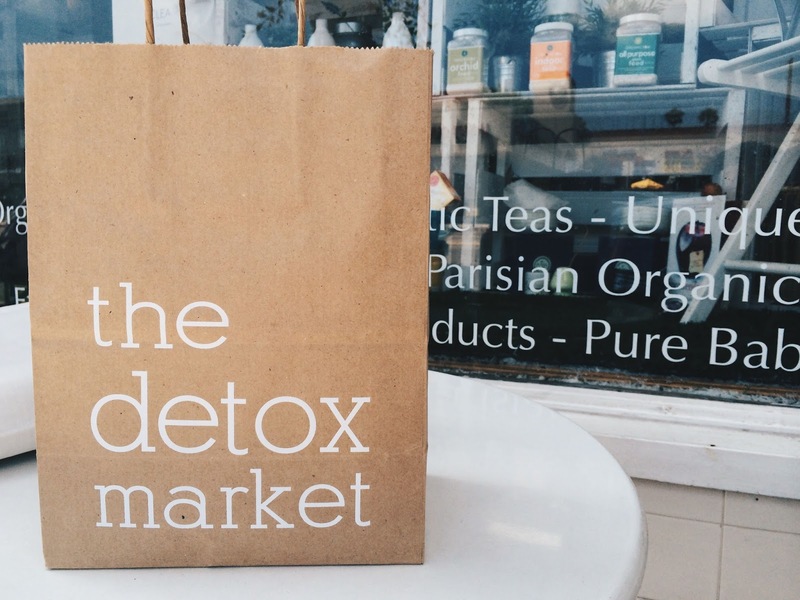 Fun fact: the founders of Odacité opened The Detox Market. 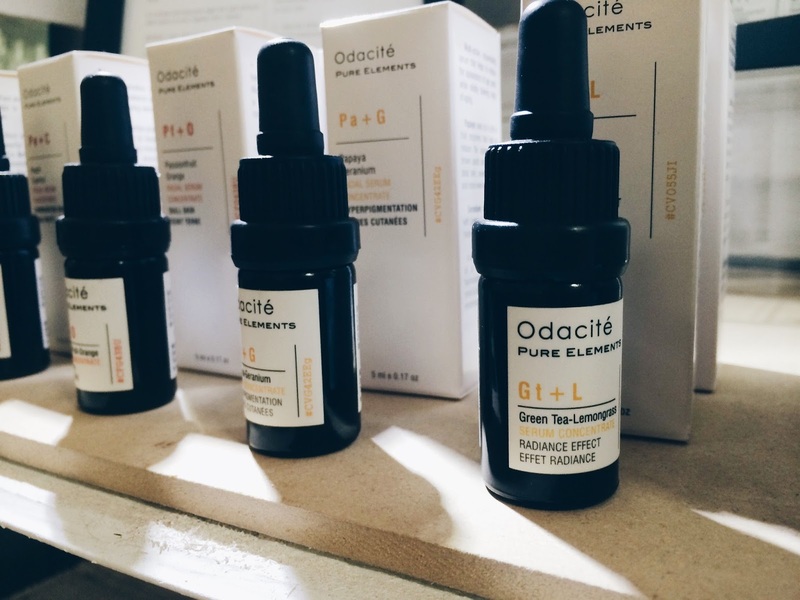 I’ve been following and humming and aahing over Odacité for a couple of months and at different times have nearly jumped the gun on the discovery kit, the Private Collection oils, and the Pure Elements line. I figured I couldn’t turn down a chance to experience them in real life! Since I’m growing into a cleanser junkie, I jumped on the Gentle Rejuvenating Cleanser and the girl in the store at the time (beautiful blonde girl with beautiful skin) was kind enough to indulge my questions. Apparently the cleanser can remove makeup, and if you’re acne-ish and dry like me, the combination discovery kit is for you. The difference between the kits are the toners which are catered towards skin type, and since I was straddling the fence, she kindly let me sample the oily toner (Mint & Green Tea) as well as the combo toner (Rose & Neroli) in my discovery kit, though in the process, I think she took out the sample of the Hydrating Masque, which was fair, but sad. Oh, the Pure Elements line. 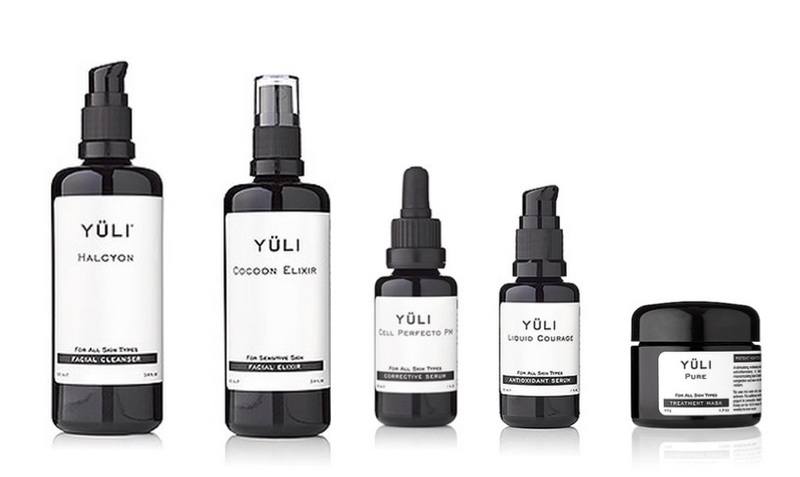 I came in knowing I was going to walk away with at least one of these, and then I left with two: Black Cumin + Cajeput (for pimples) and Papaya + Geranium (for hyperpigmentation). She recommended Bl + C as a good starting point for the line, saying that she herself had gone through two of these, and she also mentioned Pa + G was also a favorite of hers. 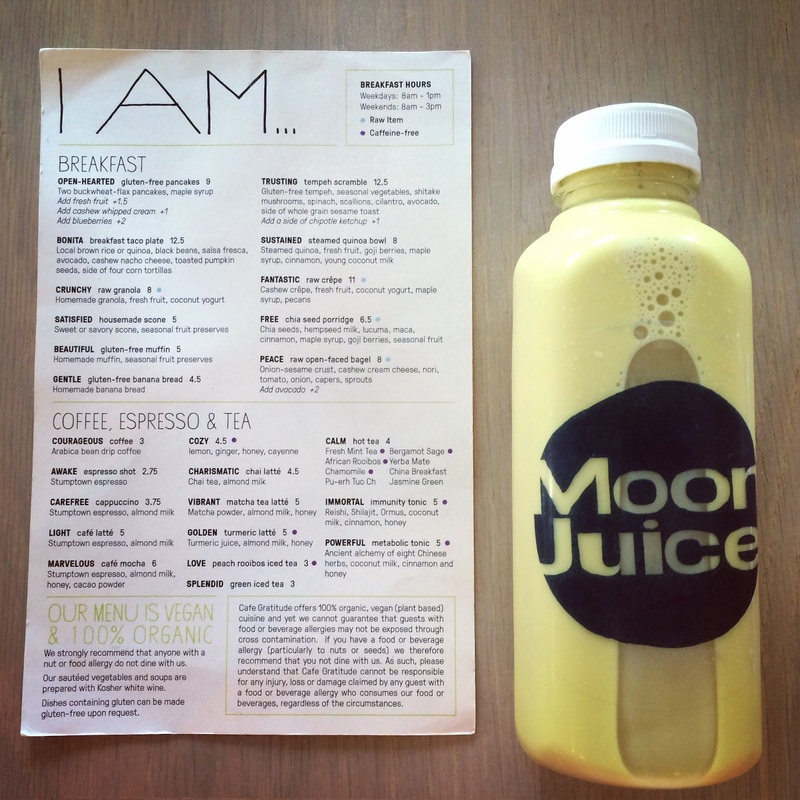 Megan (Seed to Serum) had just posted about her love for Green Tea + Lemongrass as a radiance booster, and I nearly got that as well (who doesn’t want to be radiant??). Since I’ve also been on a jasmine kick (blame it on May Lindstrom’s soon-to-be-released Jasmine Garden), I had to smell Blueberry + Jasmine (cell energy), and it was more blueberry than jasmine–more blueberry and less jasmine than I had expected. You know rms beauty has cult status when a beach babe strolls in and asks, “Do you carry rms ‘un’ cover-up?” Yeah, true story. I’m on a semi-break from coconut oil, so I just tried a bit of the Demure lip2cheek on the back of my hand, swooned, and put it back with a sigh. My mum’s on the search for a new mascara, and the girl and I attempted to talk her into rms beauty defining mascara (recently reviewed here) since its tiny brush would be perfect for her tiny lashes, but my mum didn’t want to deal with smudging. I wish I had had more time to ask questions and poke around, but I had to run to warmup for the performance. 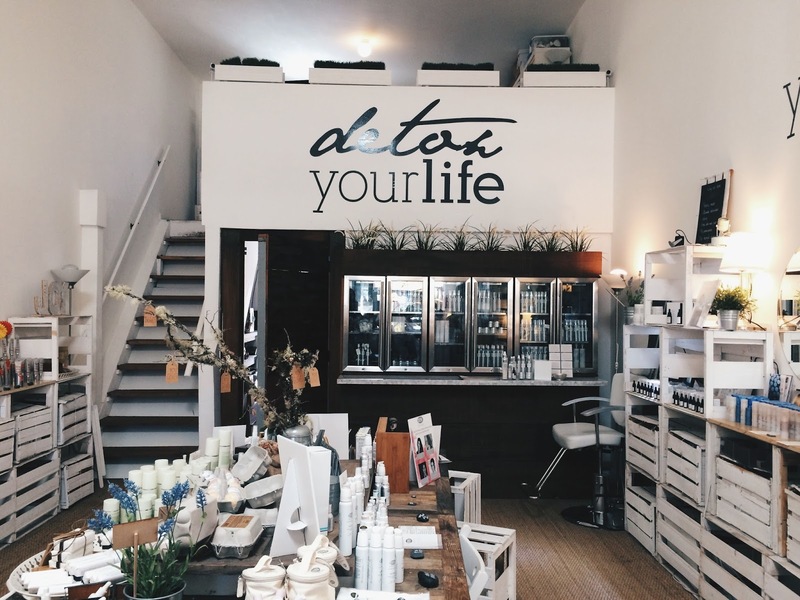 I really enjoyed visiting The Detox Market, and I also wish I could’ve had time to visit Evolue Beauty and Strange Invisible Perfumes. Next time! You are lucky to have so many of these beautiful places, LA’ers, but I definitely don’t envy your traffic. Have you visited any of these places? 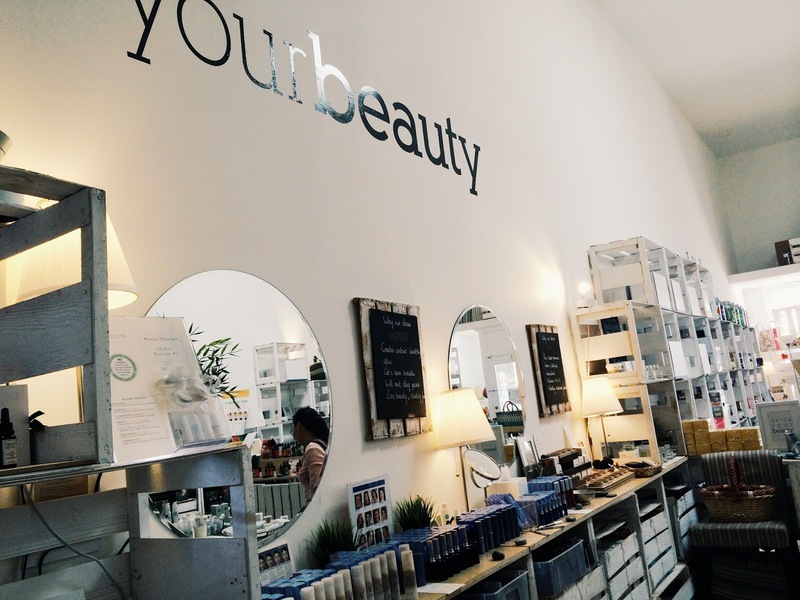 Any #greenbeauty places you love in LA? 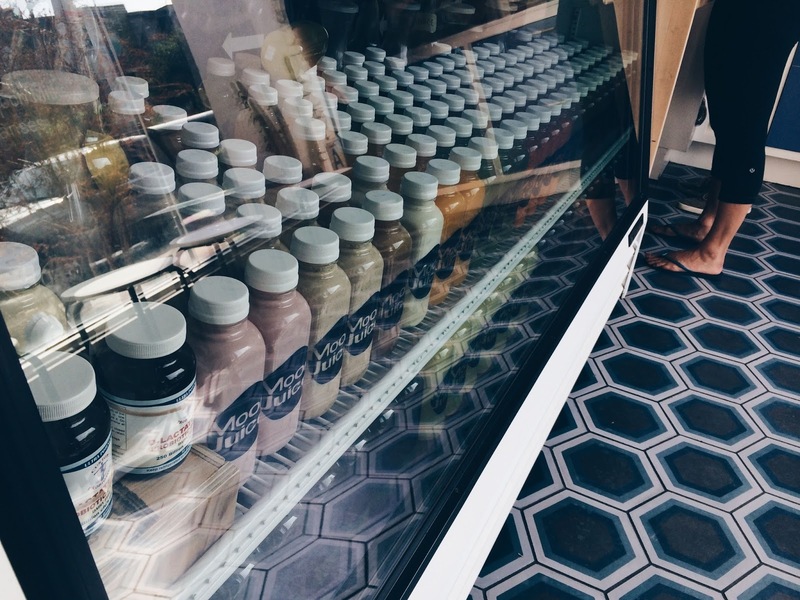 Any product faves you spotted?